Michael just wants a little sleep. The last few days have been a bit of a learning overload after coming back 150 years after he was blown apart by a backpack nuke. The world destroyed itself, there are anti-gravity cars and ships, and his love is in the stars...somewhere. Plus, there is a vampire trying to make Europe his personal fiefdom. Akio and Yuko are trying to find him, and he has a young female Wechselbalg and male vampire to keep on the straight and narrow. Michael has his own brand of justice, and this world is now understanding the Patriarch is back. 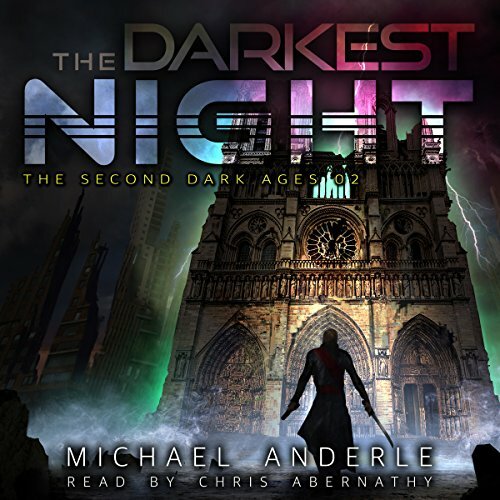 As noted in other series set in the Kurtherian Universe, there is cursing in this audiobook occasionally - it's funny, too. I loved it. I actually yelled out loud ,"No you don't, you sorry excuse for worm food!" when Duke was asking the physicist how to tear apart a mist. The performance had my attention and kept my focus (this is a hard thing to do.). Thank You! For bringing this book to life. Great Performance! As Michael is one of my most favorite characters in the KG universe and this book was so good. Shorter then I want by far but I can deal. Can't wait for the next one to come out in audio. Another great job for both the author and narrator. Keep doing great work. Wow decent story but can’t stand the annoying ,very similar voice , and dry as brunt and on fire toast jeez talking about taking a good book and ruining !!!! I can't wait till B.A. and Micheal get back together . And come on folks ! I just need more Geek and blood and guts ! So gratrful to Michael Anderle for this series. When I want to get away from hard sci-fi this is perfect for me. A person might not think this theme would be easy to follow, but Michael is a good and fun author. Please don't let them talk you into making a movie or series out of any of your books. It always ruins books for me. All those extra hands mess up a book.